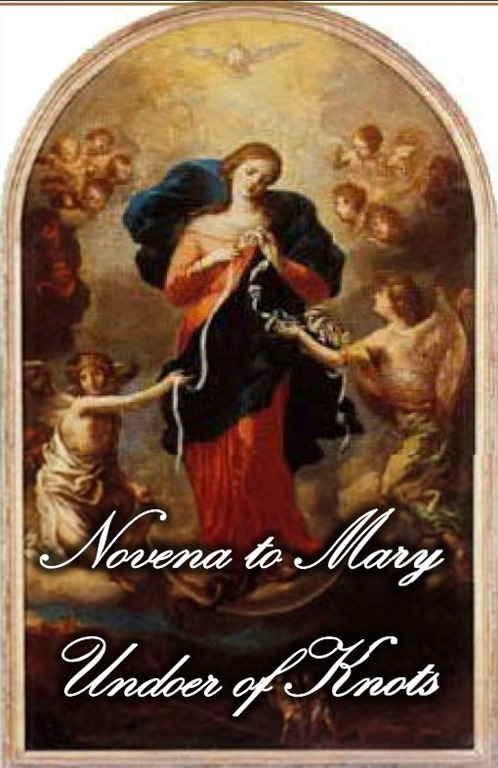 St. Pius X Catholic Church, (201 East Bayou Parkway) welcomes everyone to a Novena to Mary, Undoer of Knots, held in church, every Thursday at 6:00 p.m., beginning January 7 through March 10, 2016. While the “knots” novenas currently in circulation are meant to focus on the healing and intentions of the individual praying, this particular novena is intended to redirect our focus away from ourselves. As Pope Francis continues to exhort all Catholics to stop looking to their own needs, but instead to go out into the streets and serve the poor, witness to those who disdain the faith, and in general repent of pride and self-centeredness, the need for a deep conversion of one’s mind set and perspective becomes ever more gravely apparent. We will be praying for struggling marriages; for those with addictions; for your pastor; for your local bishop; for the poor; for the unbelieving; for Christians outside the Catholic Church; for the Holy Father; and for your own needs. Please consider joining us on Thursday evenings. All are welcome.